Hong Kong has many wine lovers, but a lot of them do not have wine with their daily Chinese meals, saying it is too difficult to find a single wine that goes with all the different food flavours on the table, or that it is only a casual meal. The recent Moët Hennessy Flavour Colours Evening challenged these myths. 12 favourite dim sum dishes and 12 Moët Hennessy wines were carefully selected, each allocated to the most appropriate zone of Flavour Colours: Blond, Ivory, Tan or Brown. Guests were encouraged to mix and match different pairings within a zone. The message was that Chinese food and wine pairing was fun and easy, just go with the flavour intensity and the viable pairings are limitless. What if the food flavours on the table cover more than one zone? Well, have two glasses of wine—a blond or ivory, and a tan or brown. Sip the delicate wine with the steamed fish (蒸魚) and the powerful one with the stir fried beef with oyster sauce (蠔油牛肉). After all, we have a pot of tea and one of hot water at dim sum; surely we can have two glasses of wine in front of us. More importantly, and this is what I firmly believe, Chinese food and wine pairing does not need to be snobbish and restricted to banquet style dinners. Wine can go with everyday food and in the most casual of settings. A glass of Shiraz with your lunch box of roasted barbecued pork rice (叉燒飯), both in the Tan zone, is much more appealing than a can of soft drink! And remember, nobody drinks Margaux or Mouton every day. There is a lot of good quality wine under HK$200 out there, and a glass of wine can be cheaper than a Starbucks latte. What's more, an opened bottle of wine can be kept in the fridge for 2-3 days without problem. We may not have a traditional wine culture, but this should not stop us enjoying wine with our noodles and fried rice. Gourmet coffee was new to us 30 years ago and now there are speciality coffee houses on every street corner. I would love it soon to be just as common to see friends and families having their weekend dim sum brunch with wine. Another successful immigrant story. The first generation of the Croatian Brajkovich family, Mick and Kate, bought a small vineyard in Kumeu River northwest of Auckland. Maté, from the second generation, set the foundation by moving away from the old style fortified style wine and planting international varieties. Now, the estate, headed by mother Melba, is run by the third generation: Michael (Master of Wine), Marijana, Milan and Paul. 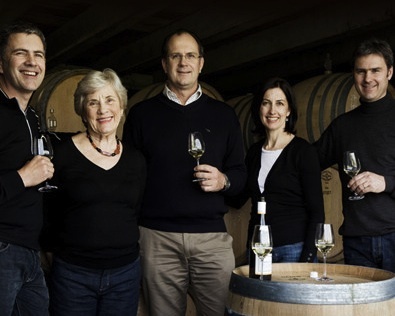 Lisa Perrotti-Brown MW, wrote in Wine Advocate, "If you can taste history, duty and family pride in a glass, it’s there in the Kumeu River Chardonnays.... now producing some of New Zealand’s greatest Chardonnays, not to mention the world’s." Well, I can’t taste history and duty in the glass, but I certainly can taste the quality and effort the team puts into its wines. Kumeu River is not the best viticultural site in New Zealand. It has relatively high rainfall and low sunshine hours, and is kept cool by the Pacific Ocean and the Tasman Sea. Some grapes, such as Cabernet Sauvignon and even Merlot, struggle to ripen there. After trial and error, the Brajkoviches found that Chardonnay is their star. Some 60% of the vineyard is planted with Chardonnays. Different clones are used in different soils and on different aspects, resulting in a range of Chardonnays each having its own style and character. Michael, the eldest brother and winemaker, has worked in Bordeaux and Burgundy, so Kumeu River’s Chardonnays are geared towards the classical Burgundy style using indigenous yeasts, barrel fermentation, malo-lactic fermentation and ageing on lees to add texture and complexity. Paul, the youngest brother, responsible for marketing, was proud to tell us that guests at blind tastings often mistake Kumeu River Chardonnays for Burgundy premieur crus. 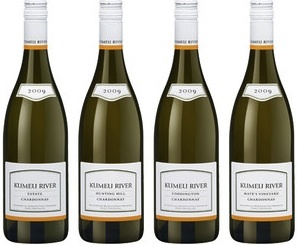 At a fraction of the price of those Burgundies, Kumeu River certainly outperforms on quality. We tried all their Chardonnays. Each has its own characteristics. My favourite is the single vineyard Kumeu River Hunting Hill Chardonnay 2007 which is well defined and elegant, yet concentrated. Paul said it is an excellent match with crayfish (lobster). Kumeu River Mate’s Vineyard Chardonnay, named after their late father, is made from a low yield vineyard, the oldest on the estate. The 2009 vintage has more ripe fruit aromas and complexity on the palate, with a tighter structure. Paul does not think being medium sized and family owned places them in a less advantageous position compared to the big boys. The secret is to partner with similar-sized and like-minded distributors to spread the family story. Well, Kumeu River certainly has one competent partner here: Northeast, run by an equally passionate mother-and-daughter team. Some months ago, The Vintage Port Academy held a series of masterclasses and tastings in Hong Kong. Not only were we treated to several wood aged and vintage ports, but selected writers and journalists were also invited to a rare tasting of Single Quinta Vintage Ports from six different port houses: Croft's, Dow's, Fonseca, Graham’s, Taylor's and Warre's. As the name suggests, single quinta vintage port is made with grapes from a single estate, as opposed to classic vintage port which is a blend from different estates. It is not made every year; only in good but not declared years (all the grapes will be used to blend classic vintage port in declared years). Single quinta is usually the backbone of any classic vintage port blend and is made in exactly the same way - aged 2 to 3 years in casks then bottled without filtration. In a sense, single quinta vintage port is the expression of a particular quinta, while classic vintage port reflects the style of a particular house. According to Euan Mackay from Symington Family Estates and Nick Heath from Fladgate Partnership, who led the tastings and masterclasses, Douro is probably one of the most difficult places for grape growing. It is very hot in summer and very cold in winter. The mountainous vineyards mean that all operations have to be carried out by hand. Water is precious but luckily the soil is mainly schist, which is not only great for drainage but also good for preserving water. Having said that, soil is actually not the major factor in differentiating single quinta styles. Rather it is the climate, landscaping, slope facing and grape varieties that make the difference. This tasting was both educational and fun. All six ports had subtly different characteristics. The most interesting were the Quinta do Bonfim and the Quinta da Roêdo, which are next door to each other but the easiest to tell apart. The tutored tasting was followed by a blind tasting in a different order, and, not surprisingly, none of us got them all right. • Fonseca Quinta do Panascal: 1/3 Tinta Roriz. Dense rich fruit character, opulent. • Warre’s Quinta do Cavadinha: Relatively cool site (250m above sea level), 37% old vines. Fresh and elegant. • Dow’s Quinta do Bonfim: South facing site with prolonged exposure to the sun. 50% Touriga Nacional and Touriga Francesa. Structured, complex and austere. • Croft Quinta da Roêda: South facing. 50% Touriga Francesa. Ripe plum fruit, jammy, soft and round mouth feel. • Graham’s Quinta do Malvedos: Younger vines (about 20 years old), fruity and floral, less austere. • Taylor’s Quinta de Vargellas: North facing site, strong floral character, elegant and refined. For those who like port but don’t want too tough a challenge, try a blind tasting game of Ruby Reserve, Late Bottled Vintage (LBV), Single Quinta Vintage and Classic Vintage. Ruby Reserve is more vibrant with fresh fruit character. LBV is richer, softer and rounder because of spending more time in oak. Single Quinta Vintage has more personality and develops earlier. Classic Vintage is more balanced and complete and can age for over 20 years in bottle. You can also put a 10 or 20 Year Old Tawny Port into the blind tasting but the colour will be a giveaway if you don't use black glasses. Tawny’s structure is provided by its acidity, not (perhaps surprisingly) by tannin, and it has more of the prune and coffee kinds of oxidised aromas.